Megan Williams is a Realtor/Broker/Property Manager with Signature Realty Solutions & Property Management. 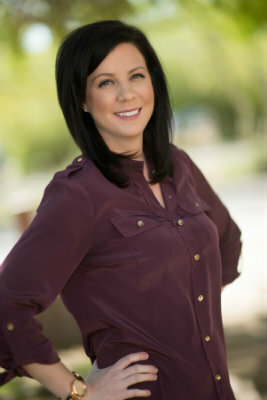 Ranked in the top 1% of Realtors in the Phoenix Area and a recent winner of the “2014 Top 40 under 40” by the Southeast Valley Association of Realtors, Megan’s clients will tell you that they are wowed by her expert knowledge and extra effort she puts into helping them either find or sell their home. Originally from the Detroit area, Megan began her real estate career in luxury leasing. After graduating from college, she transitioned to Arizona several years ago with her husband Jason to began working for a national builder. Since moving to Arizona, she and her husband Jason own and operate one of the top producing real estate brokerages in the area, Signature Realty Solutions & Property Management. All with a high level of service and gratitude to work with clients and their families with whom she truly cares about and in an industry she loves. Now recognized by the State of Arizona and the Arizona Republic to be one of the Top 35 Business Leaders in the area, you’ll see why her reviews will will show Megan’s dedication to her clients needs and wants and why they choose to work with her. Megan would appreciate the opportunity to help you with your real estate needs with the same professional and high level of service!